Batten Down The Hatches, Gaston’s On The Way!! Hurricane Igor recently skipped up the Atlantic Coast after leaving a swath of destruction behind in the Bahamas. While tropical storms are nothing to laugh at, I am happy about one thing: the folks who come up with hurricane names every year finally got it right. 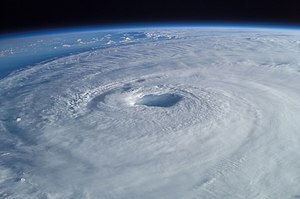 A hurricane is strong and menacing, and its name should reflect that, don’t you think? That’s why Igor is perfect. In literature and film, Igor is the evil assistant to some truly monstrous villains, like Dracula and Frankenstein. And he’s pretty ugly. I can see him whipping up mayhem in the form of a cyclone. As far as hurricanes go, Igor is a name we can be proud of. Unfortunately, more often than not, the people in charge of this task over at the National Hurricane Center get it wrong. Earlier this year, we had Bonnie. She may lie over the ocean, she may lie over the sea, but a tropical storm named Bonnie hardly strikes fear into me. Then there was Earl. Earl’s a handyman, a guy who likes to kick back on the recliner with a beer in one hand and the television remote in the other. Either that, or a sitcom character played by Jason Lee. Either way – not scary. Next up was Fiona. They did a little better there – she plays a green ogre in the Shrek films – but half the time, she’s a beautiful princess. Hurricanes are never pretty. That was followed by Gaston. All I can say is, really, guys? Apparently they were in the mood for animated films when they got to that section of the alphabet. Gaston is the vain, egotistical, overly handsome antagonist in Disney’s Beauty And The Beast. Annoying, yes, but hardly a killer. If anybody was nailing plywood across their windows in preparation for the onslaught of Gaston, I hope they were wearing berets and snacking on escargot and foie gras in the process. Tropical Storm Hermine lashed south Texas earlier in the month. Hermine’s a variant of Hermione, who is, of course, a female character in the Harry Potter books and movies. A very sweet person, by the way. If Hermine were ever prove to dishing out a good lashing (doubtful), she’d break out the apologies right after. And then wave her wand and make the destruction disappear. Sorry, this name’s a fail. The rest of the year doesn’t look very promising, either. Unless you think Julia, Karl, Lisa, Matthew, or Nicole sound tough. Worst of all, there are six lists of names that they rotate through, and that means in 2016 we’ll again be anticipating the arrival of Gaston. I’m trembling with dread already. If a hurricane is devastating enough, they retire the name. We’ll never again see an Agnes (retired in 1972), or Beulah (1967), Fifi (1974), Hortense (1996), or Klaus (1990), to name a few. Did you know that they skip over perfectly good letters, too? There are no storms that begin with the letter Q. Last time I checked, Quincy was a valid name. How about Quinn? He was one mighty Eskimo, according to Bob Dylan. U is also notably absent, even though Ulysses – the famous wanderer in Homer’s Odyssey – literally means “angry, wrathful.” I can’t think of a better name for a destructive hurricane, can you? Bypassing the letter Y is truly puzzling. What’s wrong with Yvonne? How about Yvette? So as not to be chauvinistic, we could use Yngwie (as in Malmsteen, one helluva guitar player). And while we’re on the subject of musicians, wouldn’t a Hurricane Yanni just tickle the New Age masses? Wouldn’t a Hurricane Zorro be fun? Or Zeus? How they come up with these names is all Greek to me. I feel bad for people named Katrina now! Especially if they happen to live in New Orleans. I bet they get the evil eye like crazy down there. Thanks for checking out my blog!